3 Types of Travel Insurance and Do You Need Them? Home » Insurance and Risk Management » 3 Types of Travel Insurance and Do You Need Them? Traveling has always had its risks from missed or cancelled flights to stolen luggage to incorrectly prepared seafood. The question is whether you need to worry about these risks ahead of time. For every risk there is an insurance agent waiting to sell you a policy so it can be difficult to know what is necessary insurance and what is an expensive sales pitch that won’t benefit you. If you have a big vacation planned know ahead of time what you should and shouldn’t insure to guarantee the best vacation of your life without worries. Though we talk about travel insurance as one singular product the term really refers to three kinds of coverage. Cancellation insurance reimburses you if the trip is cancelled because the cruise line or tour company goes out of business or if you are unable to go on or complete the trip because of illness or family emergency. Personal effects coverage insures your belongings should they be lost, stolen, or left outside in monsoon season weather. Finally, emergency medical coverage insures that you will receive medical care if you were to suffer an accident or illness while away from home. Adding cancellation insurance to the cost of your trip will typically be an additional 5% to 7% of the purchase price of the trip. So a $7,500 vacation will cost you about $400 to insure. However, before signing up for coverage consider you might already have protection without having to add to the cost of your trip. The credit card you used to book your trip may offer partial or total trip cancellation coverage at no extra charge. If you are taking a structured vacation like a cruise or a tour, you may receive an offer to take advantage of a cancellation waiver. This inexpensive coverage (about $40 to $60) is similar to cancellation insurance, but it comes with a great number of restrictions. For example, trip waivers will often not offer coverage should you have to cancel the trip just before departure – which is when most trips are cancelled. In addition the trip waiver will not cover you should the cruise line or tour go out of business. Dealing with losing your luggage, having your pocket picked, or being the victim of theft is no fun day at the beach. In the unfortunate event that one of these happens to you while on vacation will you be kicking yourself for not having insurance covering your things while traveling? Not necessarily. Many renter’s and homeowner’s insurance policies cover theft of your belongings no matter where they are at the time of theft. Just remember that you are still responsible for your deductible. 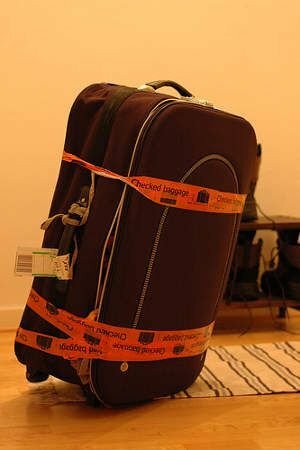 Additionally, airlines are required to reimburse passengers for lost baggage up to a limit of $1,500 for international travel. If you need to carry expensive sporting equipment, photography gear, or jewelry on your travels (or if your homeowner’s insurance deductible is a little steep), you might want to consider purchasing an endorsement to your homeowner’s policy for those particular items. For less cost than travel-specific insurance you will cover the particular items wherever they may be in the world. Before you purchase this insurance go back to your regular health insurance and find out what it covers. It is unlikely that it will cover every contingency, but it will let you know what gaps you need to fill. For example, does your current coverage pay for an extended stay in a foreign hospital or for you to be flown home under a doctor’s care? Also, if your health insurance does cover treatment abroad, will you have to pay upfront and be reimbursed or will it work like it does at home? Once you have the answers to these questions, you’ll know what kind of coverage you will need to insure your vacation is worry-free. Though it may be tempting to forego extra health insurance when traveling far from home or when planning any kind of active vacation, it really is a good idea to hedge your bets. For a little extra money you can relax and enjoy your vacation. Ultimately it is up to you to know what coverage you already carry and decide if more is necessary. It may not be as fun as Google Mapping your bicycle route through the Alps, but planning for the worst is an important part of planning your vacation. Do your homework now so your vacation is exactly that – a vacation! Honestly I have never ever thought of travel insurance before although I have been aware of this for at least six years now and I do travel out of the country 2-3 times a year. My Blue Cross covers medical insurance when I am out of the country, unfortunately I will have to shoulder the expenses first and file for reimbursement from them later. Sometimes, your existing coverage might fit the bill. For example, if you are renting a car with a credit card, chances are you don’t need supplemental insurance. Ditto with renter’s insurance coverage for your things when you are traveling.